The background patterned paper is from October Afternoon as well as the middle candy treat tag. The other two tags are from Paper Sweeties. There's a piece of a Strawberry Paper Straw, some ribbon snippets, a real cinnamon stick, some rusty jingle bells, some October Afternoon stickers, and the coffee cup is also from Paper Sweeties. There are some Tim Holtz Christmas ephemera pieces tucked in as well. Like I said, a lot going on. Thanks for stopping by! I hope you enjoyed my "Candy Coffee Christmas Card" and I also hope you're enjoying the Winter Coffee Blog Hop. Have a great week! Winter Coffee-Loving Cardmakers Blog Hop - Any Coffee, Tea or Cocoa Themed Projects with Winter Theme - My coffee mug is from Paper Sweeties. I used their stamp set and matching Sweet Cut. Visions of Sugarplums Challenge - Lori Hairston's ChouxChoux Paper Art - This card was made with this challenge in mind specifically. SO yummy! You are on the roll today! I enjoyed this cheerful and colorful creation with all yumminess! Oh this one is a lot of fun! My teeth hurt just looking at it...lol! Love it! Oh fun! 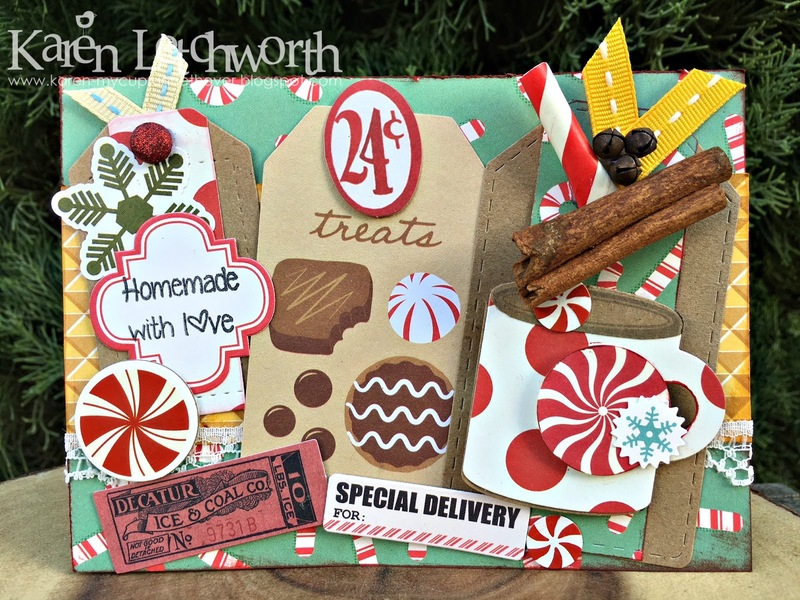 Love the mix of papers and the addition of the cinnamon sticks! :) Thanks for hopping along with us! This card is filled with so much holiday goodies and designs. Wonderfully done. So much fun, would be great tucked in with some holiday goodies. love the vintage feel of the rusty jingle bells. A happy and fun card! Fabulous design! Karen, this is so adorable. brilliant card. 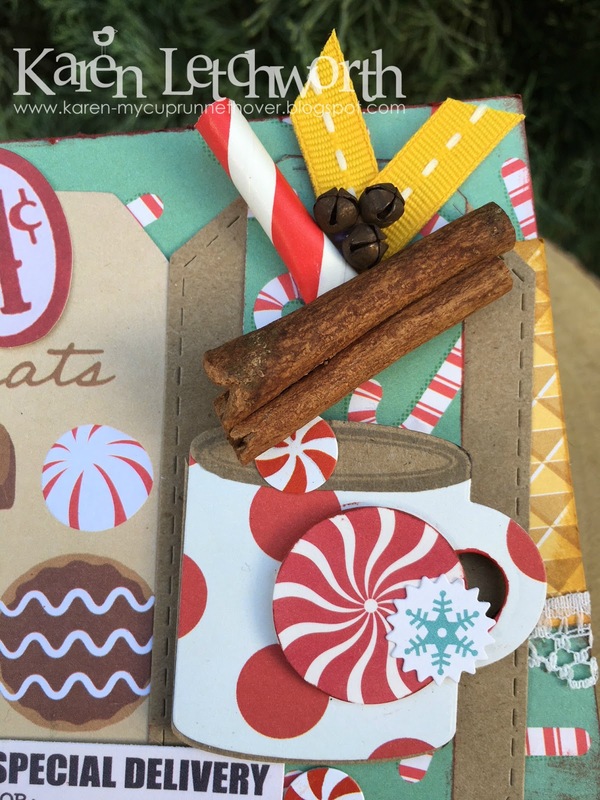 love the cinnamon sticks and the fun this card bring. I like how these elements all came together.